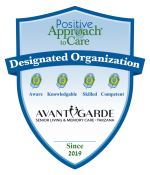 At AvantGarde Senior Living and Memory Care the outstanding, comprehensive, licensed assisted living program is the hallmark of our service. Having just completed a thorough renovation, we are the best kept secret in the San Fernando Valley! With weekly housekeeping, complimentary transportation, three meals daily, and a myriad of additional services, residents enjoy a relaxed and fulfilling lifestyle. Assisted living gives yourself or your loved one the opportunity to live comfortably and enjoy your own daily routine with the confidence of safety and support when necessary. Our community welcomes you, where each resident is celebrated, cherished and connected. To insure the right mix of independence and support for you or your loved one, an individualized service plan will be created. Our caring, compassionate staff – on hand 24-hours a day – provides a spectrum of services tailored for each resident, resulting in greater choices and flexibility today and over time. A beautiful new chapter begins when you walk through the doors as a resident at AvantGarde Senior Living and Memory Care. New friendships and a variety of interesting and healthful activities will keep you enriched and engaged. While not mandatory, residents are welcomed and encouraged to be a part of our social activities. Our mission is to assist our residents to live the carefree life they deserve, without the worry and burden of daily household tasks.